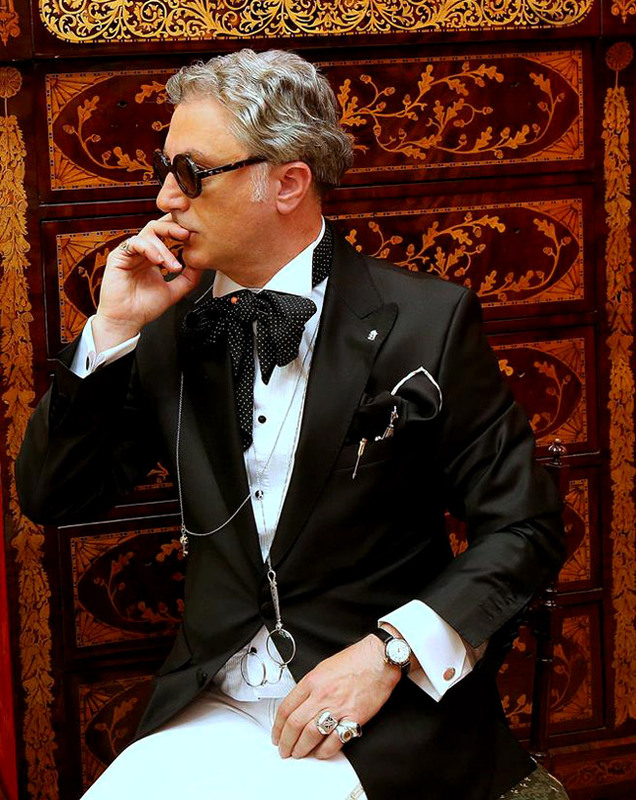 The modern practice of dandyism first appeared in 1790s, both in London and in Paris and there are many definitions, given by world recognized authors, who had different attitude among this trend. For example, Charles Baudelaire said: 'Dandyism in certain respects comes close to spirituality and to stoicism. Dandyism is a form of Romanticism. Contrary to what many thoughtless people seem to believe, dandyism is not even an excessive delight in clothes and material elegance. For the perfect dandy, these things are no more than the symbol of the aristocratic superiority of mind'. The model dandy in British society was George Bryan 'Beau' Brummell (1778–1840). He established the trend men to wear perfectly fitted and tailored bespoke garments. This look was based on dark coats, full-length trousers, immaculate shirt linen and an elaborately knotted cravat. He is credited with introducing, and establishing as fashion, the modern men's suit, worn with a necktie. Brummell was not from an aristocratic background, but from the mid-1790s, Beau Brummell was the early incarnation of 'the celebrity', a man chiefly famous for being famous - in his case, as a laconically witty clothes-horse. Nowadays the word Dandy refers to a well-groomed and well-dressed man, but often to one who is also self-absorbed.